For the SS officer, see Gustav Adolf Nosske. Gustav Noske (9 July 1868 – 30 November 1946) was a German politician of the Social Democratic Party of Germany (SPD). He served as the first Minister of Defence (Reichswehrminister) of the Weimar Republic between 1919 and 1920. Noske has been a controversial figure because, although he was a member of the socialist movement, he used army and paramilitary forces to bloodily suppress the socialist/communist uprisings of 1919. Noske was born on 9 July 1868 in Brandenburg an der Havel, Prussia. He was the son of the weaver Karl Noske (born 1838) and the manual labourer Emma Noske (née Herwig, born 1843). From 1874 to 1882 he went to primary and secondary school (Volks- and Bürgerschule). In 1882 to 1886 he was apprenticed as a basket maker at the Reichsteinische Kinderwagenfabrik and travelled to Halle, Frankfurt, Amsterdam and Liegnitz as a journeyman. In 1884, Noske joined the Social Democratic Party (SPD) and he also became a union member. In 1892, Noske was elected chairman of the Brandenburg SPD. He married Martha Thiel (1872-1949) at Brandenburg in 1891. They had one son and two daughters. From 1897 to 1902 Noske was politically active at the local level and worked as an editor at social democratic newspapers in Brandenburg and Königsberg (Volkstribüne). From 1902 to 1918 he was chief editor at the paper Volksstimme in Chemnitz. In 1906, Noske was elected to the German Parliament for the SPD where he remained through 1918 as representative of the Chemnitz constituency. Within the SPD he was an expert on military, navy and colonial issues. After 1912, Noske was Koreferent of the Reichstag for the Navy budget. In 1914, he published a book Kolonialpolitik und Sozialdemokratie in which he argued in favour of German colonialism. He was known as a reformist (i.e. one of those in the SPD who wanted to achieve their political goals within the existing system) and as someone who was not much interested in fundamental theoretical debates. During the First World War, Noske was part of the moderate (or conservative) wing of the SPD which also included Friedrich Ebert and Philipp Scheidemann and which supported the war as a defensive measure. Noske supported the war loans, but he also argued in favour of a stronger political position for the Reichstag. In 1916 to 1918, he was the parliamentary speaker of a commission appointed by the government to investigate military procurement and related excess profits by contractors (Kommission für die Überprüfung der Kriegslieferungen). In this function, Noske helped to shed light on the business practices involved and to expand the authority of the parliament. In October 1918, Noske became a member of the leadership of the SPD Reichstag group. When the Kiel mutiny started in early November, Prince Max von Baden, the new chancellor, sent Noske to Kiel to negotiate an end to the revolt. The mutineers welcomed Noske and elected him as Chairman of the Soldiers' Council (later "Governor"), since they considered him—a social democrat—to be on their side. :65 Within days he had succeeded in restoring the authority of the officers and in making those mutineers who had remained in Kiel resume their normal duties. Max von Baden and his successor as chancellor Friedrich Ebert, who was a close personal friend of Noske's, were very pleased with Noske's achievement. :72–73 Noske remained in Kiel until December 1918. As a result of the revolt of the Volksmarinedivision just before Christmas 1918, the representatives of the Independent Social Democrats (USPD) left the revolutionary government of the Council of the People's Deputies (Rat der Volksbeauftragten) at the end of the month and Noske was one of two "majority" Social Democrats who took their place on 30 December. Within the government Noske was responsible for military affairs. 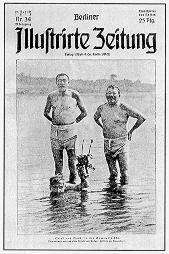 Noske and Friedrich Ebert in the infamous "bathing suit picture", 16 July 1919. In January 1919, Noske and the Freikorps under his command were instrumental in putting down the so-called Spartacist revolt. 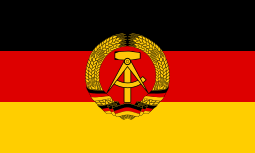 Today, historians see this event more as an attempt by the Berlin workers to regain what they thought had been won in the November revolution and what they now seemed to be in the process of losing. The trigger was a trivial event: The head of the Berlin police, a member of the USPD, refused to accept his dismissal. :155 The USPD called for a demonstration of solidarity but was itself surprised by the reaction as hundreds of thousands, many of them armed, gathered in the city centre on 5 January. They seized the newspapers and railway stations. Representatives from USPD and KPD decided to topple the Ebert government. On 19 January 1919 elections to the Nationalversammlung (national assembly) were held. 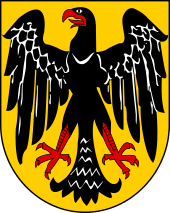 It met in Weimar and on 13 February 1919 the newly elected president Ebert appointed a new government, led by Philipp Scheidemann. Noske became Reichswehrmninister (defence minister). On 20 January 1920 the Treaty of Versailles came into force, restricting the German army to 100,000 men or less. On 28 February 1920 Noske, following orders of the Interalliierte Militärkontrollkommission which controlled Germany's compliance with the Treaty, dissolved the Freikorps Marinebrigaden "Ehrhardt" and "Loewenfeld". The highest ranking general of the Reichswehr, Walther von Lüttwitz refused to comply, which resulted in what became known as the Kapp Putsch. As one of the conditions for ending the general strike, the unions demanded the resignation of Noske as Reichswehrminister. Moreover, some within the SPD were unhappy with his conduct during the crisis and deemed him to have been lacking in energy dealing with the putsch. He resigned on 22 March 1920. Otto Gessler succeeded him. Noske would be the last Social Democrat in this position during the Weimar Republic. Noske was Governor (Oberpräsident) of the Province of Hanover from 1920 on. He became more conservative and supported Paul von Hindenburg in the elections for Reichpräsident in 1925 and 1932. However, as a Social Democrat he was first relieved of his duties in the spring of 1933 and then dismissed on 1 October by the Nazi government. Noske then moved to Frankfurt. In 1944 he was arrested by the Gestapo under suspicion of involvement in the 20 July plot against Adolf Hitler and imprisoned in the Ravensbrück concentration camp. Noske was freed by advancing Allied troops from a Gestapo prison in Berlin. He died in Hanover on 30 November 1946 from a stroke while preparing for a lecture tour of the United States. He is buried at Stadtfriedhof Engesohde in Hanover. SPD politician Johannes Kahrs, a leading contemporary representative of the moderate wing of the SPD, has described Gustav Noske as one of his political role models. 1 2 3 4 5 6 7 8 9 10 11 "Biografie Gustav Noske (German)". Bayerische Staatsbibliothek. Retrieved 25 June 2013. 1 2 3 4 5 6 7 8 9 "Biografie Gustav Noske (German)". Deutsches Historisches Museum. Retrieved 12 June 2013. 1 2 3 4 5 6 7 8 9 10 Haffner, Sebastian (2002). Die deutsche Revolution 1918/19 (German). Kindler. ISBN 3-463-40423-0. 1 2 3 4 Herzfeld, Hans (ed) (1963). Geschichte in Gestalten:3:L-O (German). Fischer, Frankfurt. pp. 231–232. ↑ "German Social Democrats meet in the shadow of the financial crisis - World Socialist Web Site". Wsws.org. Retrieved 2016-10-24. "Noske, Gustav". Encyclopædia Britannica (12th ed.). 1922.